I know that saving in a proprietary format over an open standard is bad practice, but sometimes in Business you need to maintain interoperability with the de facto standard; in this case: Microsoft Word. 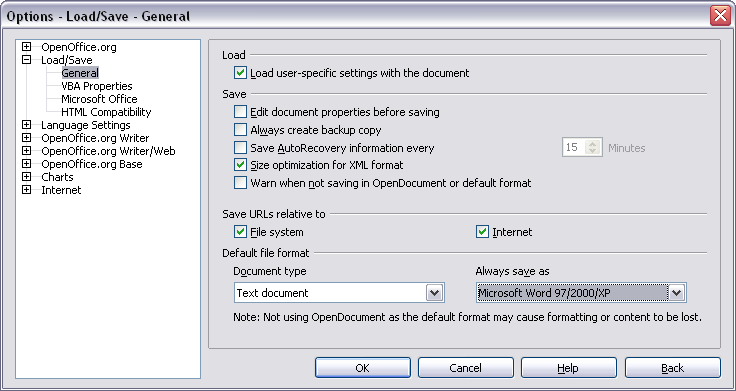 Did you know that you can do the same for OpenOffice Calc (Excel format) http://plan-b-for-openoffice.org/calc/topic/set-default-file-format-to-ms-excel, and Impress (PowerPoint format) http://plan-b-for-openoffice.org/impress/topic/set-default-file-format-to-ms-powerpoint. Besides the same instructions work for LibreOffice too.